In the serene fjordlands of Norway in the early twentieth century, Ingrid has led a blissful childhood until, through no choice of her own, she becomes holder of her family's secrets. Her father, a blind preacher who ministers through sacred music played on glassware, increasingly relies on Ingrid to see for him even as it threatens to tear apart his marriage. And after she witnesses an assault against her sister, Ingrid must decide when to speak and when to remain silent, whom to trust and when to run away. 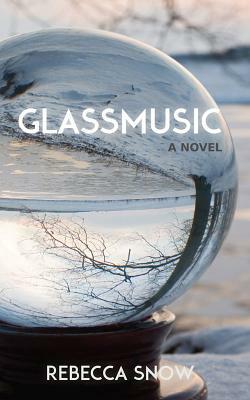 Glassmusic explores the sometimes devastating realities of loyalty and jealousy, with philosophy, music, and love serving as guides. Rebecca Snow teaches English at the Community College of Aurora. Her poetry and nonfiction have appeared in Blue Moon, Progenitor, and Wazee Journal, and she won first place for narrative nonfiction in the 2007 Writers Studio Contest, sponsored by Arapahoe Community College. She lives in Denver.